245 10 |aArchitecture :|bfrom commission to construction /|cJennifer Hudson. 260 |aLondon :|bLaurence King Publishing,|c2012. 300 |a240 p. :|bchiefly ill. (chiefly col.), plans ;|c29 cm. 505 0 |aVilla Welpeloo, Enschede, The Netherlands, 2009 / 2012Architecten -- YTL residence, Kuala Lumpur, Malaysia, 2008 / Agence JouinManku -- The Yas Marina Hotel, Abu Dhabi, UAE, 2009 / Asymptote: Hani Rashid + Lise Anne Couture -- Nordwesthaus, Fussach, Austria, 2008 / Baumschlager Eberle -- Ozeaneum, Stralsund, Germany, 2008 / Behnisch Architekten -- Etrium, Cologne, Germany, 2008 / Benthem Crouwel Architekten -- Neues Museum, Museum Island, Berlin, Germany, 2009 / David Chipperfield Architects with Julian Harrap -- The Hotel Cha Am, Cha Am, Petchaburi, Thailand, 2009 / Duangrit Bunnag Architect Ltd (DBALP) -- House at No.85 Swain's Lane, London, UK, 2008 / Eldridge Smerin -- Moses Mabhida Stadium, Durham, South Africa, 2009 / von Gerkan, Marg und Partner Architects (gmp), in cooperation with Ibhola Lethu Consortium (ILC) -- Ecomusée du Pays de Rennes, Rennes, France, 2009 / Guinée *Potin -- The Dovecote Studio, Snape Maltings, Suffolk, UK, 2009 / Haworth Tompkins -- UK Pavilion, Shanghai World Expo 2010, China / Heatherwick Studio -- Loblolly House, Chesapeake Bay, USA, 2006 / KieranTimberlake -- Weiner Townhouse, New York City, USA, 2008 / LOT-EK -- La Llotja de Lleida, Lleida, Spain, 2010 / Mecanoo -- New Youth Centre in Rivas Vaciamadrid, Madrid, Spain, 2009 / Mi5 Arquitectos -- Mapungubwe Interpretation Centre, Mapungubwe National Park, Limpopo Province, South Africa, 2010 / Peter Rich Architects with Michael Ramage and John Ochsendorf -- Step Up on Fifth, Santa Monica, California, USA, 2009 / Pugh + Scarpa Architects -- Bodegas Protos, Peñafiel, Valladolid, Spain, 2008 ; Maggie's London, UK, 2008 / Rogers Stirk Harbour + Partners (RSHP) -- Design Museum Holon, Israel, 2010 / Ron Arad Associates -- Long Studio, Fogo Island, Newfoundland, Canada, 2011 / Saunders Architecture -- Centre Pompidou-Metz (CPM), Metz, France, 2010 / Shigeru Ban Architects with Jean de Gastines and Philip Gumuchdjian -- Brick Weave House, Chicago, Illinois, USA, 2008 / Studio Gang Architects. 520 |a" ... offers both students and professional architects an inspiring and informative overview of how today's major architectural projects are designed and built. The book provides an in-depth study of the creative and construction processes behind 25 leading contemporary buildings, illustrating the working methods and creative concerns of both long-established and emerging international architects." -- Back cover. 650 0 |aArchitectural design|y21st century. 650 0 |aArchitectural design|y21st century|vPictorial works. 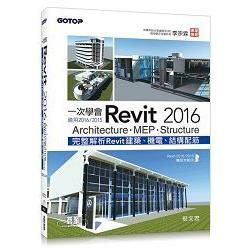 This book provides an in-depth study of the creative and construction processes behind 25 leading contemporary buildings. Covering a broad range of international projects, the book illustrates the working methods and creative concerns of both long-established and emerging international architects. Every stage of each project is included, from the demands of the original brief, through early sketches and design development to investigation of building regulations and collaboration with engineers, contractors, builders and clients. Each project is presented through an explanatory overview, sketches, details, CAD renderings, models and construction shots, all captioned in great technical detail. "Architecture: From Commission to Construction" offers both students and professional architects an inspiring and informative overview of how today's major architectural projects are designed and built.